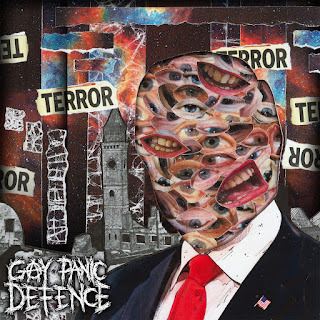 Scottish powerviolence band Gay Panic Defence were one of the first bands that I interviewed in 2018, so no idea why it's taken me so long to get round to reviewing their album. They released their first self-titled EP in September 2016, which was swiftly by their second EP "II" and then a split with Colombian PV band Terco in May of last year. "Snowflake Powerviolence Vol 1" was released in December 2017 by the band and on tape by Skin & Bones Records too. It features guest vocals by Nick Waller (Insufferable), Graham Caldwell (Endless Swarm) and Fernie, who mixed and mastered the album. Their political message and all-welcoming persona has seen them play London Pride and Dreadfest in Leeds this year, amongst a whole heap of other shows. There's more coming from them soon too! Album opener Child Abuse is more punk than powerviolence but ends with a blast of screams from both Mathew and Nick. The anti-religious message is clear and while it’s unlikely that you’ll be able to make out the lyrics, the samples at the beginning and end tell you all you need to know. Child Abuse could be considered long, as Typical Man goes from mid-paced to bass-laden fast in just over thirty-seconds. They take a swipe at The Orange Order on Your Sash Looks So Fetch. The second-half of the song is where they truly take aim with a crazed delivery and higher-pitched screams. CNTRL-ALT.RIGHT-DELETE is self-explanatory and it’s blink-and-you’ll-miss-it aesthetic is GPD’s attempt at giving the alt-right as little air time as possible. The technical and off-kilter grind of Respect Existence is awesome with the dual screams of Mathew and Graham making it all sound even more violent. GPD fits a lot into Let Down, which is a more straight-forward PV song with plenty of punk attitude for good measure. There’s a slight hint of humour to Please Stop, though it’s message is serious and music even more so. There’s some great time changes in You Just Look Silly, where it gets a bit funky at times. POTUS isn’t safe from their fast attacks either, as you’ll hear on penultimate song All Wrong. Closing song It’s Not For Me blasts with one last barrage of intensity before stopping on a dime. This socially conscious fastcore is becoming even more relevant in the current climate that we have to endure. 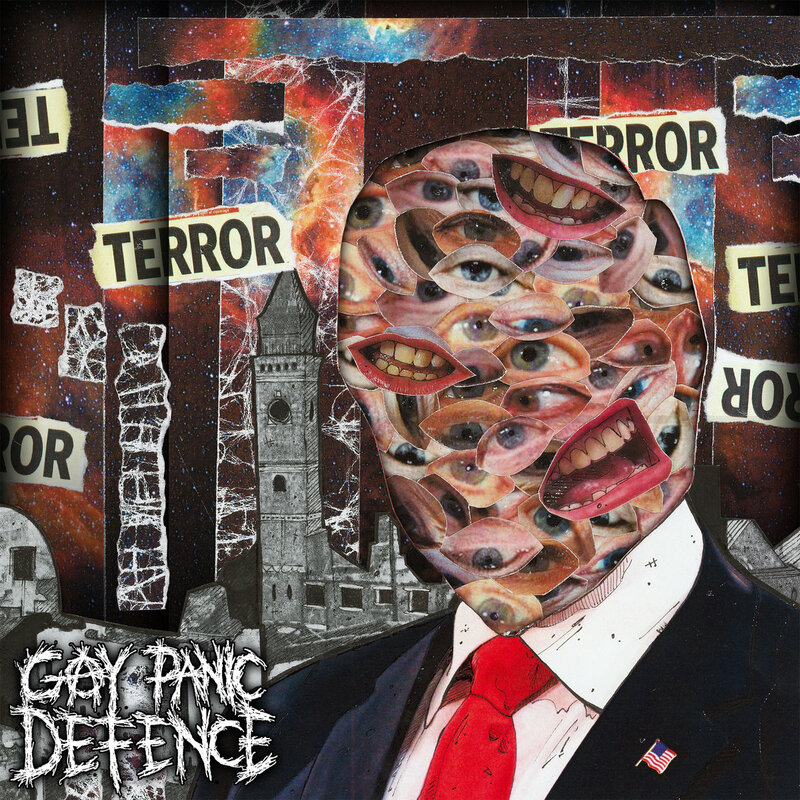 Gay Panic Defence is doing it right and you should listen to them! The interview I did with Mathew can be found here.